Lightfoot Mechanical has been providing the residents of Fort Worth with quality electrical work since 1983. Our customers are our number one priority, which is why we always ensure they receive the very best from a highly skilled electrician in Fort Worth. We are fully equipped to handle all your residential repairs, installations, maintenance, new constructions, and remodels. We pride ourselves on being able to offer the full electrical solution, no matter what your needs. We are here to take care of your electrical problems, simply give us a call and we will be more than happy to offer speedy assistance. Lightfoot Mechanical pride them selfs on having a highly skilled and fully competent team of electricians with the experience to carry out any electrical projects. Do you need a residential electrician to carry out complicated electrical work on a new construction? We have got you covered. From simple residential repairs to complex remodels and maintenance contracts, we have just the right residential electricians for the job in Fort Worth, TX. Our master electrician is highly experienced and can take on any job you may require, so you can rest assured that our team will be able to help no matter what electrical needs you may have. 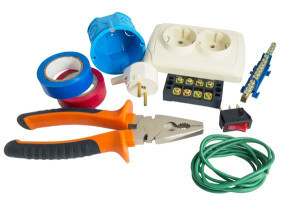 If you are looking at a complex project, an electrician in Fort Worth can help. Our team is fully licensed, bonded and insured and can be counted to meet your construction deadlines, so you don’t have to worry about project delays holding you up. We always perform the work to the highest of standards so you can rest assured that it will pass inspection. At Lightfoot Electrical, we are all about putting the needs of our customers first. We offer a preventative maintenance service on your electrical equipment to avoid troubleshooting and keep it running smoothly and efficiently. Preparing your home and property for seasonal changes, including cooler temperatures and volatile weather patterns is essential to ensure your residence remains safe, cozy, and energy efficient throughout the year. That is why we highly recommend routine maintenance checks, particularly in preparation for the fall and winter. This will help to protect you and your family from preventable risks so that you can have peace of mind. Our fully licensed and highly skilled electricians in Fort Worth can assist you with seasonal electrical maintenance year round. Just give us a call and we can get you scheduled in so you don’t have to worry about preventable issues arising unexpectedly. Lightfoot Mechanical , has been serving the Fort Worth area for over 20 years. From our early beginnings, we have taken great strides to ensure that we consistently deliver quality customer service for each and every one of our customers. That has meant putting a strict code of ethics and competency in place to ensure that no matter which licensed electrician arrives at your door, they will be fully competent to complete the job to the highest of standards. They will arrive professionally attired and focused on delivering the best service in the area. Lightfoot Mechanical is here to serve your needs, from routine electrical maintenance to large electrical installations – we do it all. We pride ourselves on being able to offer you the full range of Fort Worth electrical services including lighting, maintenance, panel upgrades and electrical repairs. Call Lightfoot Mechanical, a highly experienced electrician in Forth Worth is on hand to serve you!